On 14th of February, lovers of all ages and all nationalities around the world show their love for one another by exchanging gifts, flowers, confectionary and above all, valentine messages. But many people have trouble composing messages that truly depict their feelings. If you are one of them, don’t worry! 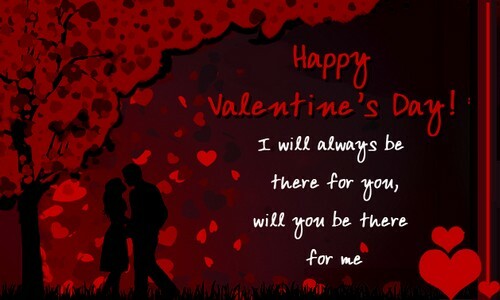 Below, we have compiled numerous valentine messages for you so that you can choose the right one to make your loved one’s valentine truly magical! Because you are mine, I am the luckiest person in the whole world! The best thing that ever happened to me was cupid shooting you for me with his arrow. Since I am dating you, every day is like Valentine’s Day for me. But I don’t mind them making 14th of February the official one. So happy Valentine’s Day today as well! I love the fact that you are mine and that you think the same. You are the only person on this planet with whom I won’t mind sharing my food. 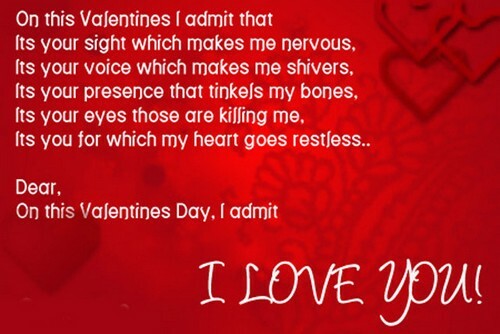 Though I can’t stand the mushiness of 14th of February, I actually enjoy it because of the mushiness you give me. Thanks for everything you have ever done for me. I was never good in math but even if I was, I would never be able to count the number of reasons for which I love you. So I try not to since I don’t like giving myself headaches. If I say I love you, that would be an understatement. I am irrationally obsessed with you. That puts my feelings into perspective a bit more than I love you. I love all the big and small things about you. But most of all, I love seeing you smile while looking into my eyes. Ever wondered why we love each other so much? We are strongly attracted towards each other because we are opposite and it’s the electromagnetic induction that’s holding us together. I know all you need from me is true love. But a little candy doesn’t hurt, right? I’ve literally fallen in love with you and that’s why I can never get back up. You not only make my valentine’s day beautiful but every other day of the year as well. All the goodness in the world is not enough for me if I don’t have you. If you hadn’t been in my life, it would have been over ages ago! I don’t know what good I did in the world to have you. I love the fact that you love me despite my faults. This day reminds me that how special is your presence in my life. You are the one who taught me how to love and be happy. We were made for each other so let’s celebrate this fact on this beautiful day! The only present I need on this day from you is these two words: I’m yours! 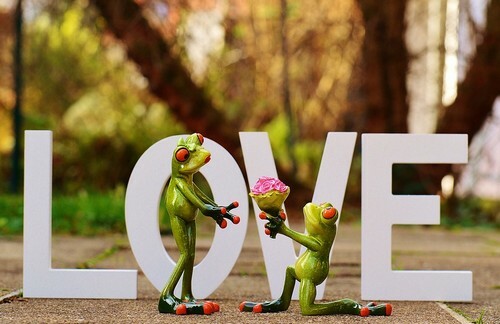 I have only a single request for you on this Valentine’s Day: Be mine forever! On this day, I need you and only you because no candy can ever be as sweet as you, no toy as cuddly as you and no words as beautiful as you are! I trust you with not only my life but also with my heart. Thanks for being a part of my life and my valentine. You are my valentine not only his year but in all the remaining years of my life! I hope our love grows even stronger now, only if it’s possible. Happy Valentine’s Day to the person who’s my life, joy, heart and my love. Happy Valentine’s Day to the one who makes my 14th of February as much special as the rest of the 364 days of the year! My sweetheart and my life, happy Valentine’s Day to you! I hope we stay together forever! As long as you and I are still around, I always will be yours. I love you not only on this day but on every single day of my life. It’s not my fault you are beautiful inside and out, but I am ready to accept the consequences. I wish there existed words that could truly depict your sweetness and your beauty. I want to do something special for you on this day but there is nothing in the world that is good enough for you. My life is beautiful only because of you. I want to let you know how much do you mean to me but I don’t have words for that. So would the chocolates do? You know you are the only one I’d want to spend this day with. I hope we spend this day every year together. 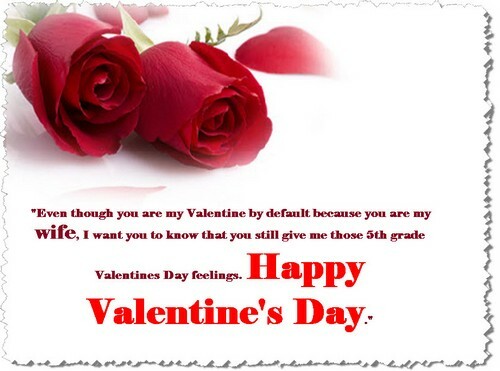 Happy Valentine’s Day is all I want to say to you because you know already how much I love you. I don’t need a valentine’s day to express my love to you. Every day is Valentine’s Day for me because I express my love to you every day. As long as we both live, we are each other’s. Happy Valentine’s Day. We celebrate Valentine’s Day better than every single of the couples I know. You are my princess and you always will be. I always feel like royalty when I’m with you. I want you to be prince and live with me happily ever after. I cannot even imagine spending his day without you. In fact I cannot even imagine life without you. Please be my valentine forever! Nothing can ever be as beautiful and as loving as you are. Stay that way and love me. Happy Valentine’s Day! Thank you for taking care of my heart which I entrusted to you. Be assured that I will do that same with yours. My heart will always be yours because no matter what happens, you’ll always be my valentine! 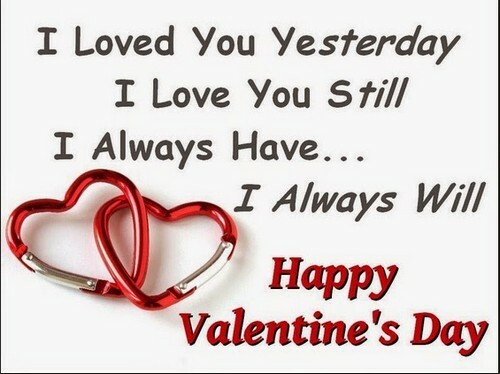 It’s not that I hate the 14th of February; it’s just that I love you much more! On this day, I thank you for being a part of my life and my existence. I don’t know where I would have been without you. Had our love been a song, I’d have sung it all the time and danced to it with you. Happy Valentine’s Day to the person most special to me! I love you to the moon and back! You are my valentine not only today but for every single moment of life afterwards. You are my valentine because you have everything of mine; my soul, my heart and my life. I don’t really know what to say to you on this day. I am sending you chocolates and roses but I know that’s not even remotely close to how much I want to say to you. I love with all my heart and I’ll always do. I wish these roses and sweets could express how much I love you. But they can’t and neither can my words. So Happy Valentine’s Day! When I am feeling down, I take comfort by thinking of you and a smile instantly lights my face. I hope you are with me forever. If I really could bring the stars from the sky, I’d do that for you just so you could be mine forever. This is the day I tell you that thank you for being mine and loving me. I love you. Thank you for being my light in darkness and my happiness in day; I can’t even begin to explain how much I want you. So I hope these three words do so: I love you. If I am given a second lifetime, I would choose you as my life partner again because one lifetime is not enough for us to love one another! Make sure you don’t get late because you have the most important job of being my valentine today! And make sure you do this job wholeheartedly. People have a view that Valentine’s Day is just another business day for flower shops, card making companies and candy shops. But I disagree. I think it’s an excuse for us to express our love for each other which we should be doing every other day but do not do so. So today, let me tell you that you mean the world and life to me. Without you, I am nothing. Happy Valentine’s Day! I love cupid so much for choosing you for me. But even more so, I love you. I hope we live long and get to celebrate many Valentine’s days together. You have been my companion and lover in the hardest times of my life. That’s how I know you are the one. I love you. Please be mine forever. And you don’t have to request the same from me. Every now and then, I fall in love. But it’s always you. 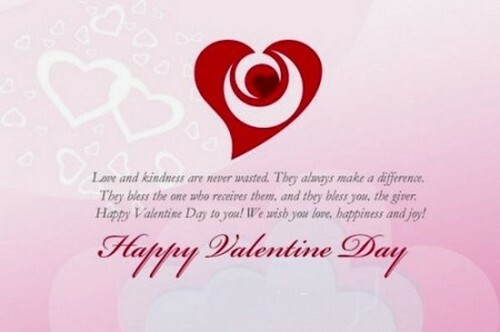 Happy Valentine’s Day to my beloved____. If you get to live a hundred years, I would want to live 99 years and 364 days, just so I could spend as much time as possible with you and yet not spend a single moment without you. I didn’t know the meaning of word ‘love’ until you came into my life. Now I wouldn’t know the meaning of word ‘life’ when you are gone. There’s nothing better than getting a chance to spend this day with the person whom I love most in the world. There would be no me without you. I love you with every single cell of my heart. Happy Valentine’s Day, my love.